This recipe has been long forgotten in my archives! If she could speak, I bet she would say «Hey, I am here! I am waiting for a publication you know! Why don’t you post me, you stupid foodblogger?» So, here it is! Finally posted after such a long time! 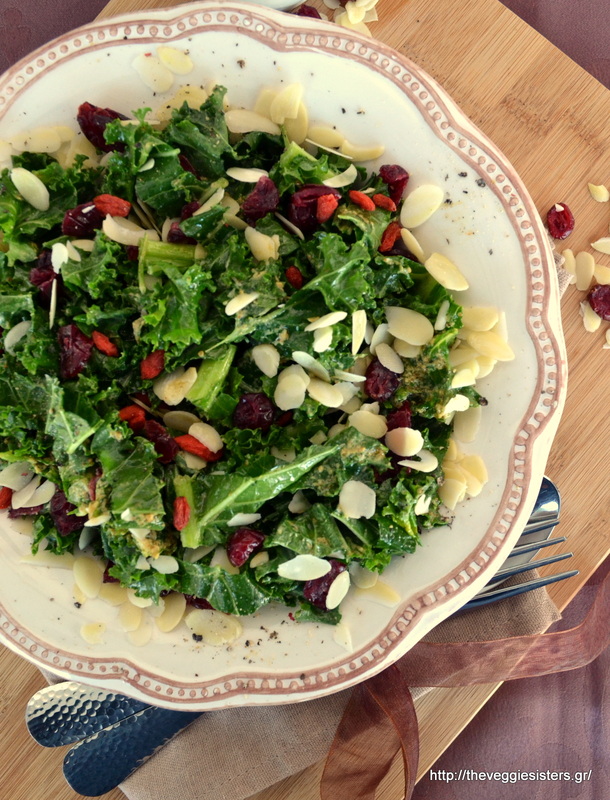 This is a super healthy salad based on kale, the king of veggies! Kale has been a tremendous hit in the last few years and I don’t wonder why! It is a leafy green packed with so many nutrients: vitamins, metals, dietary fiber. You can make salads with it, smoothies or even chips. Happy weekend, friends! Have lots of fun! Wash, destem and chop kale in a bowl. In a blender combine all the dressing ingredients. Pour the dressing over the kale and massage with your fingers. (don’t omit this because otherwise kale will be very hard to chew.) 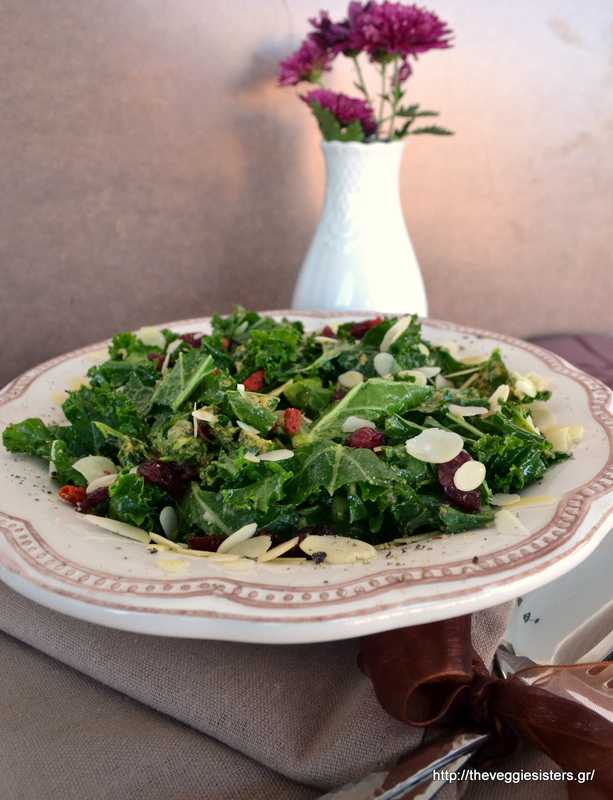 Place salad in a platter and top with goji berries, cranberries and almonds. Enjoy! Share the post "Super healthy kale salad"
Next PostΠαλιές στιγμές του blog που θα θέλαμε να ξεχάσουμε!